While all autoimmune diseases have common factors (molecular mimicry, an overactive immune system, leaky gut, food and stress triggers, etc. 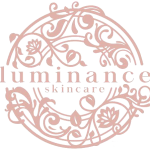 ), autoimmune skin conditions sometimes have additional influences. So, that's the focus of our podcast today. 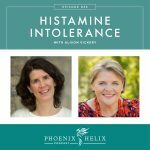 Whether you have psoriasis, eczema, lichen planus, hidradenitis suppurativa, rosacea, or another autoimmune or immune-stimulated condition, listen in! 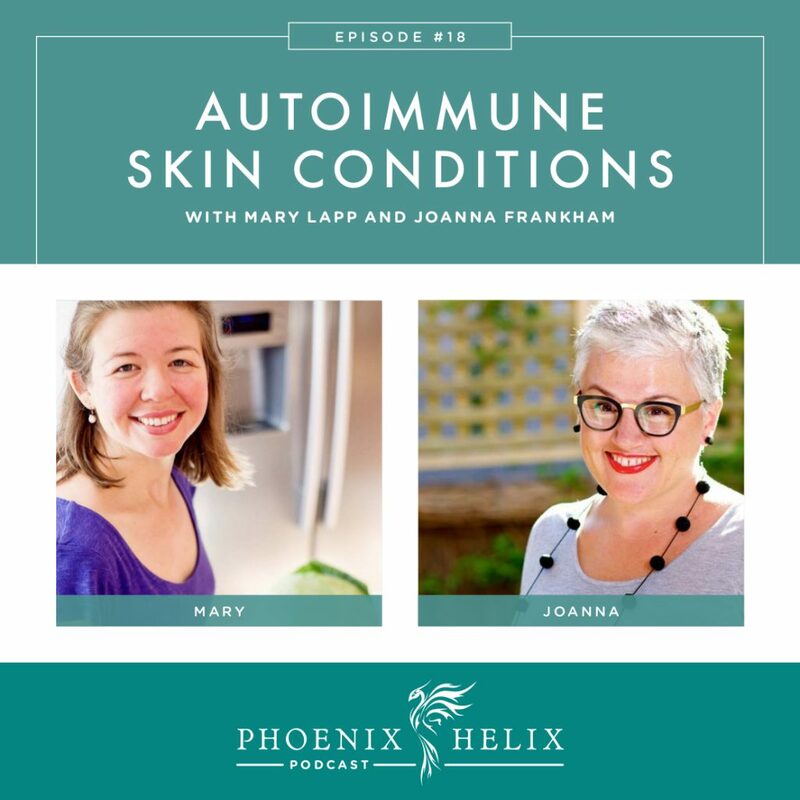 And even if you don't have skin issues, but are looking for some troubleshooting ideas for symptoms that aren't resolving quickly, this episode might have the answers you seek. Joanna Frankham is the blogger and health coach behind Joannafrankham.com (formerly This Sydney Life). She is using the paleo lifestyle to reverse hidradenitis suppurativa (HS). HS is often misdiagnosed and can take 20 years before getting an accurate diagnosis, which was the case for Joanna. In fact, doctors often blame symptoms on poor hygiene, leaving patients feeling unfairly ashamed, having no idea autoimmunity is at its root. HS symptoms are pea-sized lumps under the skin wherever your skin rubs together: armpits, groin, buttocks and breasts. These lumps can come and go, or last for years, and they're very painful. Joanna finally learned about HS through this article on Mark's Daily Apple, written by Tara Grant, author of the book, The Hidden Plague. Joanna started with a primal diet and transitioned into the paleo autoimmune protocol (AIP). That combined with functional medicine have reduced her symptoms by 95%. Mary Lapp is the blogger and nutritional therapy practitioner behind Simple and Merry. She follows the paleo lifestyle to manage rosacea. Rosacea is a skin condition that causes the face to become red, inflamed and bumpy. It isn't painful, but it's very visible and often leaves people feeling embarrassed. Mary developed rosacea at around 10 years old and it worsened during puberty. She first tried to address it through the Weston A. Price diet but her condition actually worsened. It wasn't until she switched to the AIP that it started to improve. She is now 80% better. One challenge for her in staying strict with her diet is that her symptoms aren't debilitating, so she sometimes eats foods she knows will cause a flare. Mary: Foods that cause her to flare the most: nightshades, eggs, histamines and sugars (even natural ones). Foods she's been able to reintroduce successfully back into her diet: white rice, and small amounts of nuts and dairy. Mary mentioned a probiotic that helps her digest histamines better: Seeking Health Probiota 12. Joanna: Foods that cause her to flare the most: nightshades. Foods she's been able to reintroduce successfully: eggs, nuts, seeds, and a small amount of dairy. She also limits sugar. Joanna: She was prescribed Accutane for severe acne as a teenager, which is now known to have serious side effects related to gut heath. She believes it might be one of the triggers behind her development of HS. Her functional medicine practitioner tested (and found) parasites as well as severe gut dysbiosis. Treating those conditions improved her health dramatically. Mary: Rosacea is closely associated with low stomach acid, which interferes with digestion and leads to pathogenic bacteria overgrowth. She personally notices a direct connection between her digestive health and her skin health. Natural tonics for low stomach acid. Mary also believes that the first step for healthy digestion is in our brain – slowing down, relaxing, and paying attention to what we eat: Mindful eating. 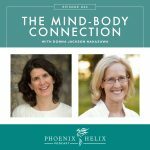 Functional Medicine Resources: Joanna is a Health Coach, and Mary is a Nutritional Therapy Practitioner. Joanna highly recommends her doctor in Australia who consults with people globally via Skype: Dr. Kate Norris. And here's a list of directories of paleo physicians and practitioners. Mary: Stress is a flare trigger for her rosacea. She incorporates the following stress management techniques into her life: deep breathing, EFT/tapping, journaling, prayer, and getting plenty of sleep. Also identifying and addressing the source of the stress. Joanna: Stress is her biggest trigger for HS. She reduces her stress through Julia Cameron's Morning Pages, from her book The Artist's Way. She also finds walking and playing with her dog to be very relaxing. Resource Podcast: The Art of Stress Management. Mary's health and nutrition coaching program: Self-Care for Energy. Joanna: HS is often a secret condition and one that leaves people feeling ashamed. 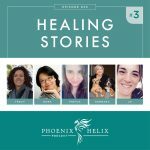 She has found healing through the AIP to be healing on an emotional level as well as a physical one. Joanna: has worked hard to set up healthy circadian rhythms that support sleep and it's made a big difference in her health. Mary: Recommends essential oils to help go to sleep: lavender, cedarwood, and vetiver. Resources: Scientific study on the affect short sleep has on inflammation and immune expression, the Go To Bed Sleep Challenge, and the Circadian Rhythms Podcast. Mary: Most skincare products exacerbate her rosacea, so she has to be very careful. Her favorite moisturizer is Dr. Ron's moisturizer with CoQ10, but it doesn't have a healing effect. She focuses on gut health for healing. She also chooses all-natural cleaning products, because they impact her skin as well. Joanna: Her experience matches Mary in that she tries to avoid anything unnatural on her skin, but she looks to diet and stress management for healing. She uses rose hip oil on her face, and coconut oil as a moisturizer. She stopped dying her hair. And she uses all-natural cleaning products as well. Resource: What Is Paleo Skincare? Joanna: It's possible that heat might exacerbate HS slightly, but overall, she notices no real difference in her symptoms based on weather. She did have chronically low vitamin D and raising that level has improved her health overall. Mary: Weather is a huge trigger for her rosacea: too much sun, a harsh wind, too much heat, too much cold. She wears a hat outdoors and finds that helpful. Mary: Sometimes skin issues can become part of our identity, so that's part of healing too – getting comfortable with the “new you” as you heal. Joanna: Her sister has eczema and her father has psoriasis, so there is a genetic link between different skin conditions, and both her father and sister have experienced improved symptoms with the paleo diet as well. Joanna is launching a health coaching practice, and you can find her at Joannafrankham.com. She also has some wonderful recipes on her website as well. Mary offers nutritional consulting as well as delicious recipes through her website: Simpleandmerry.com.